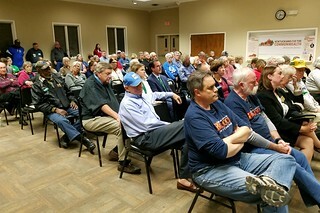 Over 100 people came out last night for a candidate forum sponsored by the Shelby County KFTC chapter, the Shelbyville branch of the NAACP, Shelby County Retired Teacher's Association, and Shelby County Teachers' Association. Candidates for State Representative and State Senate were present to answer a prepared set of questions about issues and answer questions from the audience. 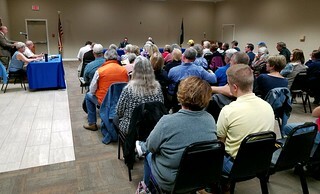 This was the second in a series of three candidate forums that these groups are holding. The third and final forum will be next Tuesday night and feature candidates for Shelbyville City Council.